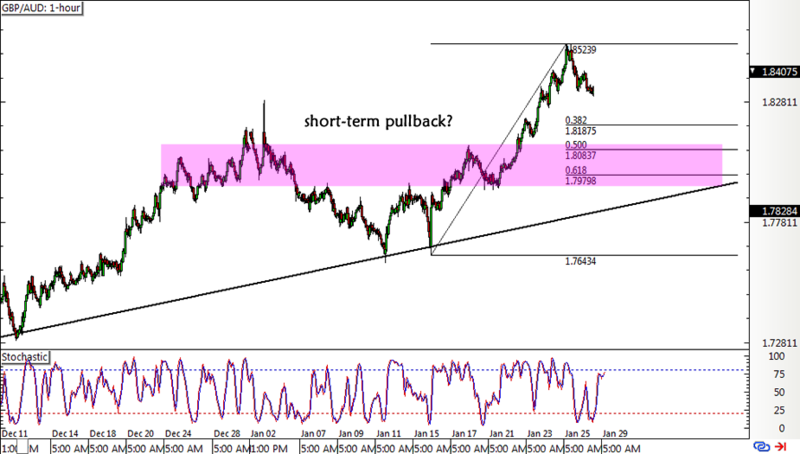 Pound pairs seem unstoppable in their climb, so I’m also watching this bullish momentum play on the long-term chart of GBP/AUD. Take a look! This pair continues to cruise higher inside its ascending channel visible on the daily time frame, just recently busting through the mid-channel area of interest. This confirms that more bullish momentum is kicking in and might be enough to take it all the way up to the very top. However, stochastic is already indicating overbought conditions or exhaustion among buyers, so I’m thinking a quick pullback to nearby support levels might be due. Zooming in to the 1-hour chart presents a potential pullback opportunity to a short-term rising trend line connecting the latest lows. This lines up with the 50% to 61.8% Fibonacci retracement levels around the 1.8000 major psychological mark. I’m expecting some volatility to kick in as more Brexit developments unfold throughout the week. The House of Commons is scheduled to vote on the amendments in PM May’s transition deal Plan B and getting it through wouldn’t necessarily lift uncertainty from the whole situation. Then again, there’s talk of extending Article 50, the possibility of a soft Brexit, and the prospect of a second referendum so things could pretty much go in any direction. One thing to keep in mind, though, is that mostly upbeat U.K. data has also been helping sterling stay afloat. Meanwhile, the Aussie was recently pulled lower on fresh signs of trade tensions between the U.S. and China. It didn’t help that the NAB mortgage rate hike is spurring speculations that the RBA might cut or at least stick to its neutral stance longer in order to balance it out. Of course I’m also gonna keep an eye out for the Australian quarterly CPI due mid-week as this could also lead to price swings. Analysts expect a slowdown in inflation from 1.9% to 1.7% so this might further dampen RBA tightening expectations. 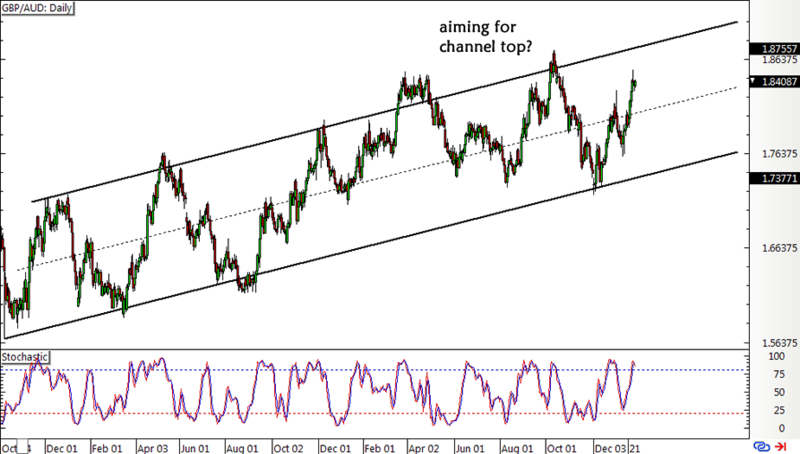 I’m looking at a possible long entry around the 1.8000 area, with a stop below the short-term trend line around 1.7825 and a target at the long-term channel top of 1.8800. I’m also open to the idea of putting a small position in at market if the CPI reading disappoints AND if Brexit optimism remains in play.